Almost three-quarter of the bagmaker’s sales are in the tough UK market. That, and a costly push into Asia amid the threat of a China-U.S. trade war, explains why Mulberry’s shares are down 60 pct this year. A fresh hit from House of Fraser’s demise is par for the course. A model presents a creation at the Mulberry catwalk show during London Fashion Week in London, Britain February 19, 2017. 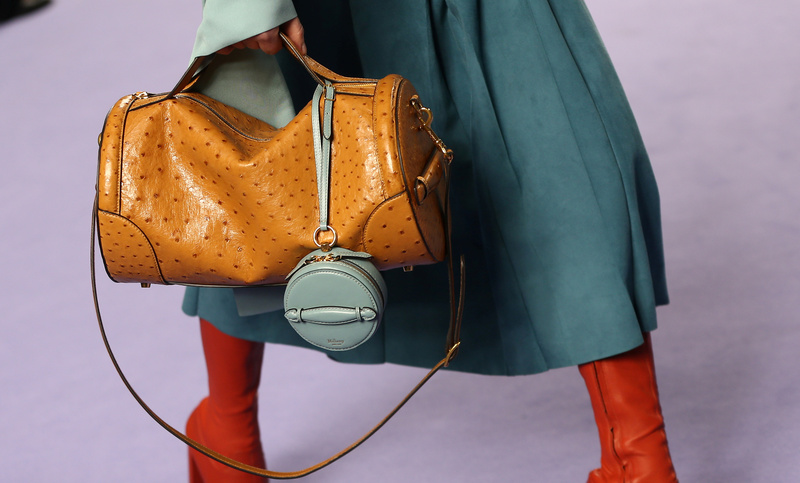 British handbag maker Mulberry said on Aug. 20 that it will take a 3 million pound hit from the administration of UK department store House of Fraser. The company operates 21 concessions at House of Fraser, which was bought by Sports Direct earlier this month. The company said the cost, which reflects debtor balances, fixed assets and potential restructuring, would be an exceptional item in its results for the six months to Sept. 30. Mulberry also said that since it reported in June, the UK market had continued to remain challenging and sales in House of Fraser stores had been particularly affected. If these sales trends in the United Kingdom continue into the key trading period of the second half of the financial year, the group's profit for the whole year would be materially reduced, it said. Mulberry’s shares were down 28 percent to 412 pence by 0730 GMT on Aug. 20.